The latest Scottish agricultural census figures reveal the Scottish suckler cow herd is down 1.3% year-on-year, making the beef herd 12% smaller than it was a decade ago. In contrast the Scottish dairy herd shows a modest increase of 0.3% which leaves the dairy herd 4% smaller than it was a decade ago. The net effect, according to Quality Meat Scotland’s Head of Economics Services, Stuart Ashworth, is that the overall Scottish breeding cow herd is 0.8% smaller than last year and down 10% from a decade ago. “During 2017, 0.25% fewer calves were registered in Scotland which would suggest that, despite the fall in cow numbers, the productivity of the herd has improved,” observed Mr Ashworth. The census reveals a 2.9% decline in male cattle of one to two years old and a decline of almost 1% in female cattle in this age group. “These figures do not offer any respite in terms of the tightness of supply of slaughter stock in Scotland. However, because the shortfall is less for cattle under one year old, as 2018 progresses supplies will, in relative terms, improve but remain lower than a year ago,” said Mr Ashworth. This tightness of supply has contributed to Scottish abattoirs handling fewer male cattle than last year in recent weeks but prime heifer slaughtering has been higher than last year. “This will have contributed, along with firm retail demand, to producer prices currently being some 2.5-3% higher than a year ago,” he added. English data shows a similar pattern to Scotland with the beef herd 0.4% smaller than a year ago while the dairy herd is 0.1% larger resulting overall in a negligible fall of 0.1% in English breeding cow numbers. There is though, said Mr Ashworth, some growth in the number of cattle under one year old on English farms, but only by 0.5%. “In the Irish Republic there has also been a decline in suckler cow numbers which has been more than offset by an increase in the dairy herd,” he said. 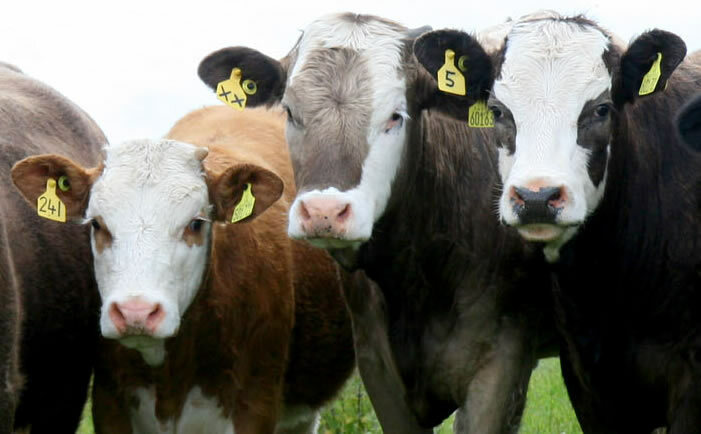 “A growth in live cattle exports from Ireland during 2017 will have contributed to Ireland reporting a small decline in the population of male cattle under two-years-old. However, despite higher Irish slaughterings since the turn of the year, stated Mr Ashworth, their producer price is averaging 4% higher in Euro terms and 7% higher in Sterling terms than last year, suggesting firm demand. Indeed, he added, there is a general firmness in prime cattle prices across Europe with the average steer price being 1% higher than a year ago. In 2017 the European market was underpinned by the combination of a marginal decline in beef production, rising exports and lower imports.